Hopefully no blaster battles at this hang out. Great capture. Nice Mike! And it is not a Dragonfly! What Happened!! Beautiful! I hope to see many this year. I love seeing the monarchs here in Santa Cruz. There have been several years when I didn’t see any Monarchs at all for extended periods of time and I feared that their presence here was at risk, so I am thrilled whenever I spot one now. Out here monarchs feed on milkweed, which is a CA native but lots of people consider them weeds and pull them out. 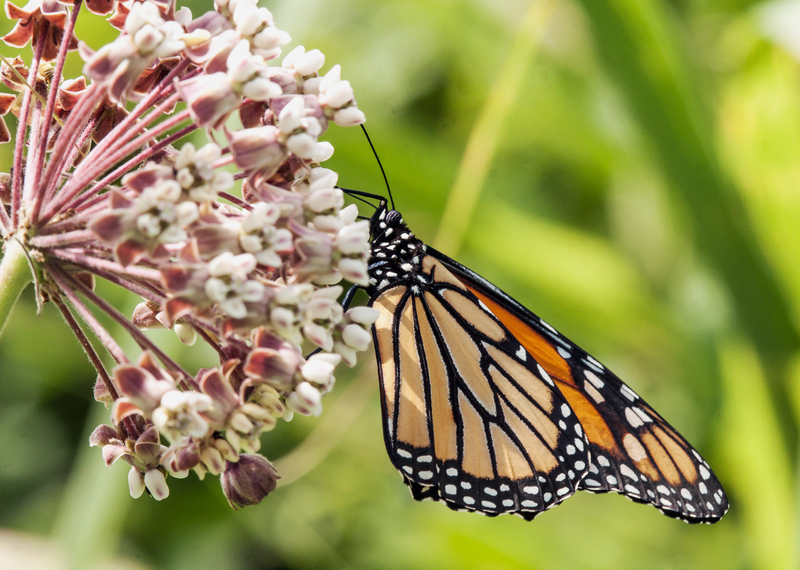 There is a big push by some conservation groups to get people to plant milkweed, the plant on which Monarchs depend. It’s sad to hear of people pulling up milkweed. Thanks, Chris. I don’t have the chance to shoot as many butterflies as I do dragonflies, but I love it when I have the chance to capture an image of one.